My commitment to you: I am here to support you & facilitate your journey into healing, for you to maintain optimal health & wellbeing. My philosophy: A whole being approach, an integration of body, mind, emotions and soul, to help you find inner balance with natural health solutions, becoming healthy from the inside out. Many people move from one self help program to another, changing their lives for a time, and then relapsing again, over and over and over. If you’re one of us strugglers on the way to wellness journey, there’s hope! This coaching program will help you to stay motivated, learning while you’re growing. I’ll be there every step of the way to guide and support you, for you to ultimately claim self responsibility, by changing limiting, impeding beliefs and old brain patterns, to become the whole, happy and healthy human being you were created to be! Many of us want to remodel our lives, but think we need outside help from guru’s or experts, preferably coming to live with us for 12 weeks, 3 months, or 99 days! On our own we remain stuck in old habits, health harming beliefs and lead pipe neural networks in our brains. The most common problem is to sustain behaviour change and especially to stay motivated. Most people are looking for advice about what to do, and when they get it, they do not act on it for lack of motivation. Unfortunately, because of this factor most doctors deal with patients who are not motivated and are instead looking for quick fixes, who would rather take a prescribed drug than change their behavior. e.g.. Quick weight-loss pills and potions, sedatives, anti-depressants and pain-killers. 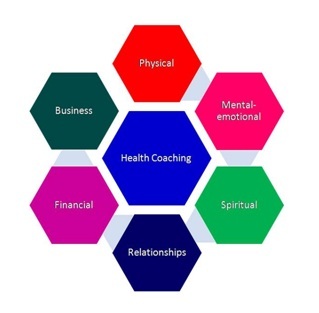 This 12 week, 99 days health coaching course aims to improve life by addressing the specific harmful habits, helping you on your way to wellness by making the correct decisions about your own health and wellbeing. It is a step-by-step approach that encourages and informs at the same time, while allowing you to grow and develop as a human being. The course is designed to add value on a weekly, and sometimes even a daily basis with little notes of encouragement and the choice to read and make an informed decision when it comes to your health. This course is about changing and maintaining healthy behavior. If you simply condemn unwanted behavior without acknowledging what you are getting out of it, you may not be able to give it up no matter how much harm it is causing. Throughout the course, the focus will remain on you and your decision to focus on what you want, not resisting what is, and definitely not focusing on what you don’t want! Your focus will be on finding solutions for your health challenge: e.g. stress, depression, chronic fatigue, heart, menopause and digestive problems. Reading Health & Happiness and Stress Solutions, as well as articles (e.g. Molecules of Emotion and Alchemy of Healing), will provide the background information for the work we’re about to do over the next months. The time period of 12 weeks or 99 days, is the time it takes to change old behaviour, stuck brain patterns and harmful beliefs, and most important, to maintain the changes you make. This time frame will also make you realise that there are no quick fixes on the way to wellness. Your aim will be on a journey, not on a short term goal. I do recommend nutriceutical products with the course, depending on your blood tests results, your medical profile and family history. They are not essential, but they will help restore function on a cellular level, in a gentle and supportive manner, because they are the very nutrients you need to function at peak performance levels. Healthy food choices are the mainstay of any health coaching program. Good quality, reputable food supplements and herbal remedies (nutriceuticals) are an additional insurance policy you take out on your own health and wellbeing.